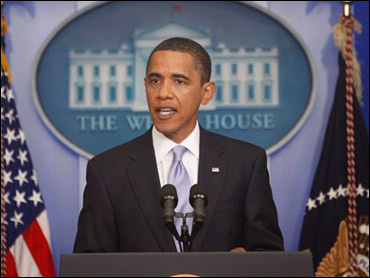 The transcript of President Obama's fourth press conference, June 23,2009, as released by the White House. Q: Mr. President, I want to follow up on Iran. You have avoided twice spelling out consequences. You've hinted that there would be, from the international community, if they continue to violate -- you said violate these norms. You seem to hint that there are human rights violations taking place. Q: Then I have a two-part question. (Laughter.) Is the public plan non-negotiable? And while I appreciate your Spock-like language about the logic of the health care plan, the public plan, it does seem logical to a lot of people that if the government is offering a cheaper health care plan, then lots of employers will want to have their employees covered by that cheaper plan, which will not have to be for profit, unlike private plans, and may possibly benefit from some government subsidies, who knows. And then their employees would be signed up for this public plan, which would violate what you're promising the American people, that they will not have to change health care plans if they like the plan they have. Q: How many cigarettes a day do you now smoke? Do you smoke alone or in the presence of other people? And do you believe the new law would help you to quit? If so, why?